Towards the end of 2017, the Nieuwe Universiteitsgebouw (New University Building) will be throbbing heart of the VU University campus in Amsterdam. Here, two major universities - VU and UvA - will be working on a better future for all. The versatile and sustainable building will comprise rooms for education, research and culture. 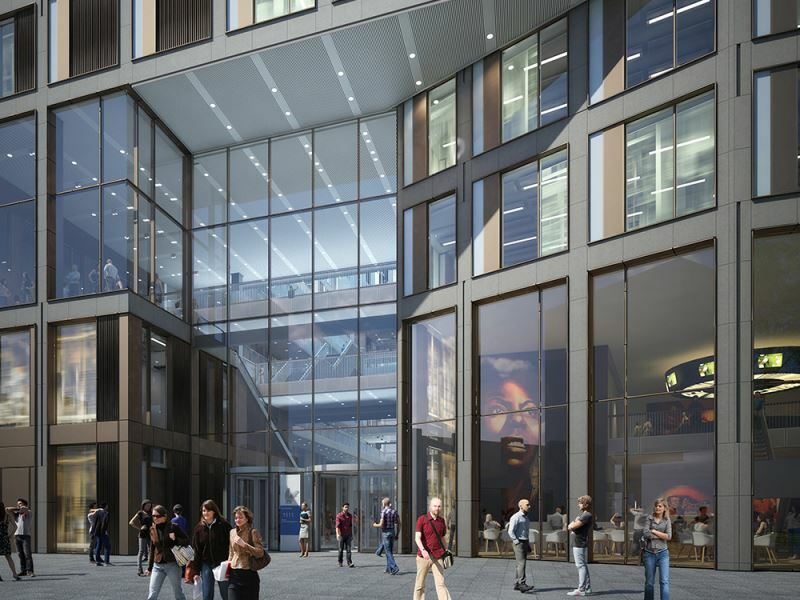 The lecture hall will become a cinema at night - it’s just an example of the myriad of possibilities offered by the multifunctional Nieuwe Universiteitsgebouw. ABT provides integral expertise in the areas of architecture, construction, geotechnics, and building management. Team V Architectuur designed a stepped building with a surface area of 31,000 m2. On the side facing the campus, the building will have seven floors. On the other side, facing the De Boelelaan, it will have twelve floors. A spacious atrium will form the core of the building. 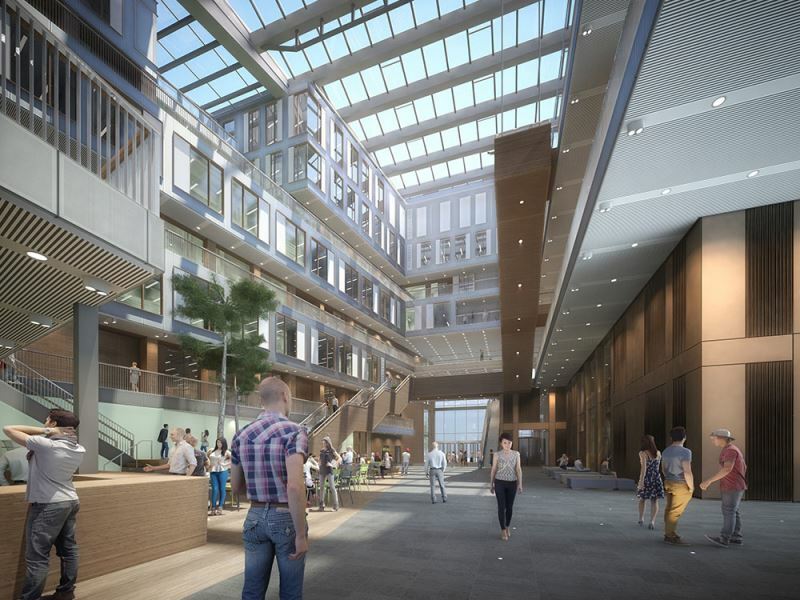 The Nieuwe Universiteitsgebouw will be a sustainable building, which will meet the criteria of BREEAM-NL Excellent. This sustainability becomes apparent from the design. By taking into account the orientation regarding the sun, energy consumption is minimal. And because the building is easily adjusted to varying functions, its life span becomes virtually infinite. ABT advised about the realisation of sustainability ambitions and actually contributed themselves: by applying advanced calculation techniques, fewer transport movements and less construction material are needed. A underground parking garage will accommodate around 600 cars and 1,600 bicycles. From a quickscan carried out by ABT, a triple-layer parking garage with steel foundation proved to be ultimately cost-efficient. Subsequently, detailed construction-pit and foundation designs were made. The garage was modelled using advanced software and piled-raft foundation. The east side of the Nieuwe Universiteitsgebouw will be located above the parking garage. On the west side, the design takes into consideration the future construction of a seven-layer Alliantiegebouw (Alliance Building). The construction was commenced in July of 2014. ABT checks the execution and carries out quality inspections. In addition, the company coordinates the monitoring of the surrounding area. Subsidence of neighbouring buildings, cables, pipelines, underwater concrete and the new building are monitored, as well as groundwater, vibrations, and any deformations of sheet piling.